Is I, Socky, rawr rawr rawr! Which is to say, I’ve turned the heel and started down the foot of the sock. 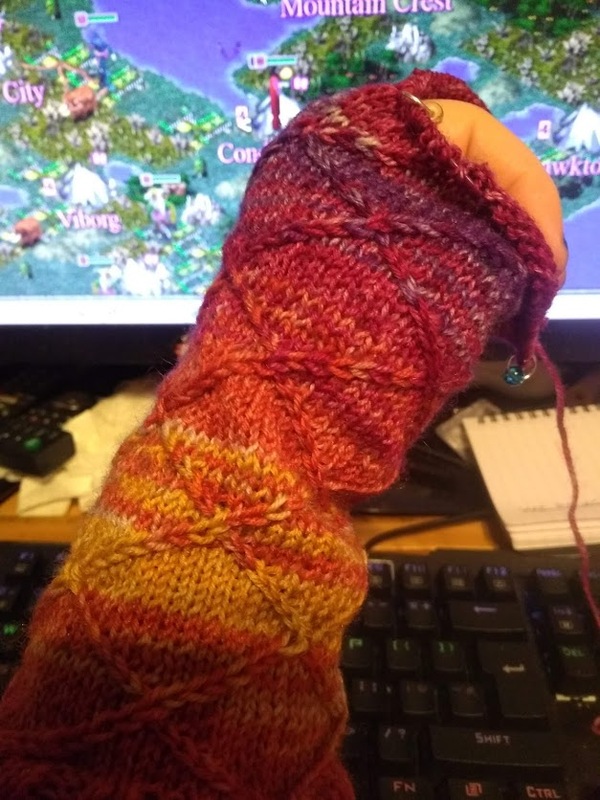 It’s going faster than I thought it would, but that’s probably because I’m not doing poppies at the same time, and because having something to do (ie, the travelling cables) makes it feel like it’s going faster. Having said that, I’m not getting a lot of anything done today. I knew I as gonna ache after a day of being ‘on’ and peopling, but I didn’t expect quite this much of it. Oh well. *chuckles* At least my chair is comfortable, and my need to move minimal. I’m choosing to be optimistic that it will feel better after another night of sleep, or at least, better enough that the foot I shanked isn’t feeling limpy still/again. Mind keeps wandering, so I’mma go follow it.